10 of the World’s Rarest Birds - What on Earth? There are many beautiful and fascinating birds in the world. Some species of birds are considered rare due to the threat of extinction. Specific bird populations are decreasing, but fortunately, there are measures being taken by governments and conservationists to protect endangered species so they can thrive in their natural habitats and captivity. 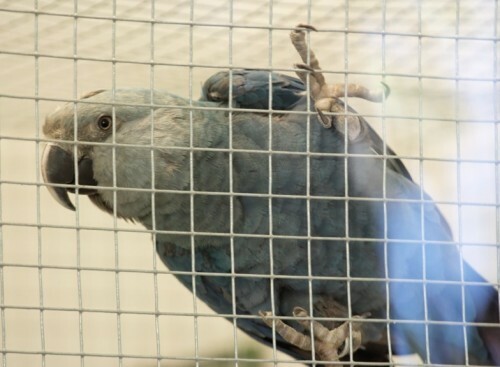 The Spix’s Macaw is one of the world’s most critically endangered species. The Spix’s Macaw is a parrot in shades of blue and named after German naturalist Johann Baptist von Spix. Its natural habitat is restricted due to its dependence on the Caraibeira tree for nesting. The species was discovered in 1817 in Brazil and is speculated to have become extinct in the wild in 2000. There are currently 85 in captivity, some of which are participating in an international breeding program. The decline in the species is due to hunting and trapping, destroying its habitat and the Africanized bee. 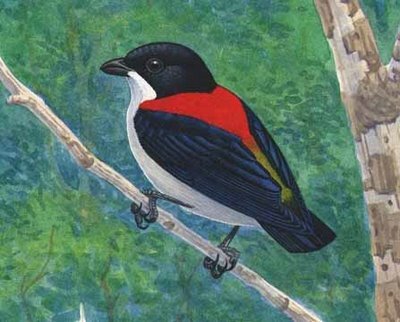 The Cebu Flowerpecker is only found on Cebu Island in the Philippines. The Cebu Flowerpecker is stocky with a short, stout bill. The male has colors which include a black head, red mantle/back, yellow/green rear, blackish blue wings/tail and grayish/white under parts. 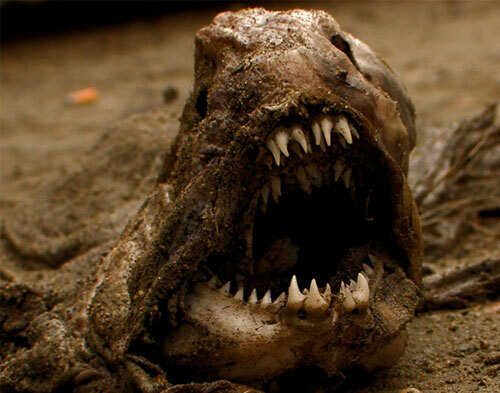 It was feared to have become extinct in the early 20th century. It was rediscovered in 1992 at Tabunan and was seen most recently in 2007. The population was estimated to be about 85-105 in 2005. The species is threatened by an extreme shortage of habitat and other man-made factors. 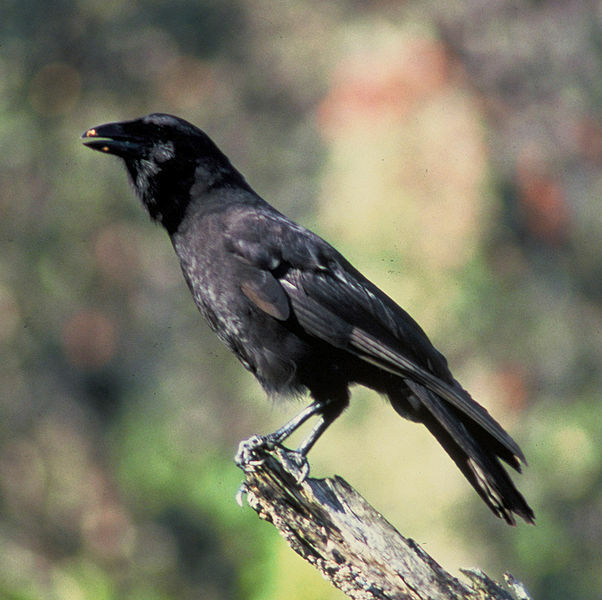 The Hawaiian Crow or Alala is considered by some natives to be the Family God. It is black and about 20 inches in length. Unfortunately, it has been extinct in the wild since 2002. As of July, 2010, there were approximately 78 birds in 2 separate breeding facilities. In the past, it was only found in western and southeastern parts of Hawaii. Important tree species in its habitat were Ohi a lehua and Koa. Reasons for its extinction could be from diseases, or other contributing factors. In April, 2009, a 5-year plan to spend more than $14M was announced to prevent its total extinction. 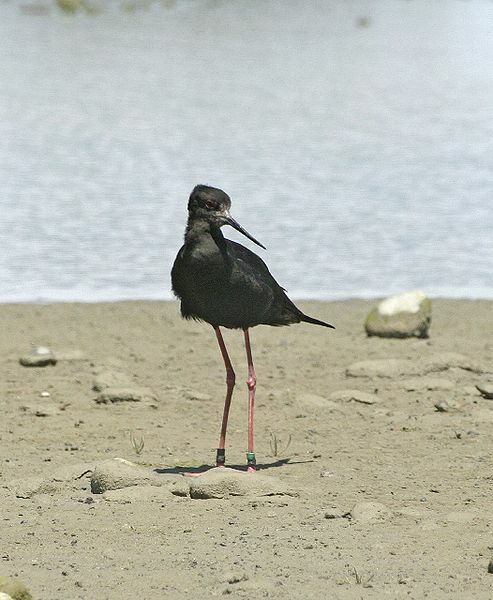 The Black Stilt or Kaki is exclusive to New Zealand. Adults have long slender red legs, a fine black bill and black plumage. The species has been protected for 20 years but still remains very rare and critically endangered. As of February, 2010, the population is estimated at 85 adult birds with about 12 in captivity. The 3 major threats to this species are drainage and hydroelectric development, which disturbs their braded river beds, predators such as cats, ferrets and stoats and hybridization with the closely related Australian Pied Stilt. 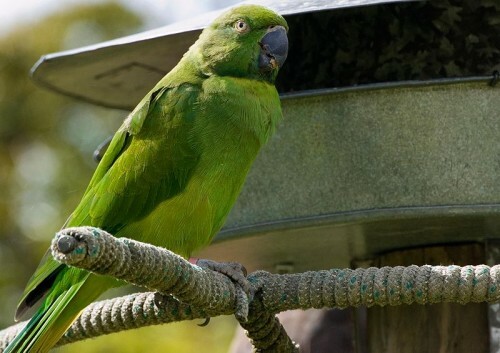 The Mauritius or Echo Parakeet is known locally as Katover and considered endangered. It is similar to its closest living relative, the Rose-ringed Parakeet, except stockier with a shorter tail and more emerald-green in color. This bird was close to extinction in the early 1980’s due to lack of suitable trees for breeding, threats by humans, feral pigs/deer and competition with other bird species. By the late 1980’s, the predicament had stabilized and by the mid-1990’s, there were 50-60 birds. Total wild population is currently 280-300. Captive population exists at a wildlife sanctuary in Western Mauritius. 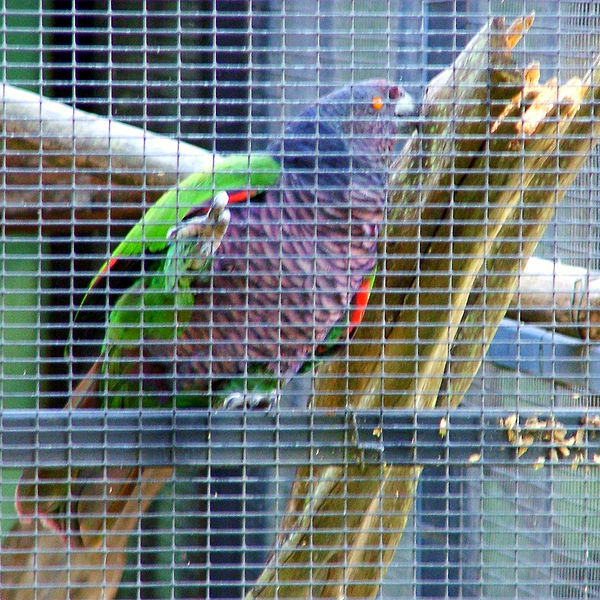 The Imperial Amazon, aka Imperial Parrot, Dominican Amazon, August Amazon or Sisserou has a green back, purple neck, green-tipped red tail and purple under parts. The species is native to mountain forests of the Caribbean island nation of Dominica. It is the national bird and featured on the Dominican flag. It has an endangered status and a population of 150-250 mature birds, of which 3 are in captivity at the Parrot Conservation and Research Center. The species is threatened by habitat loss, pet trade illegal trapping, deforestation/encroachment and competition with Red-necked Amazon/owls for nesting. 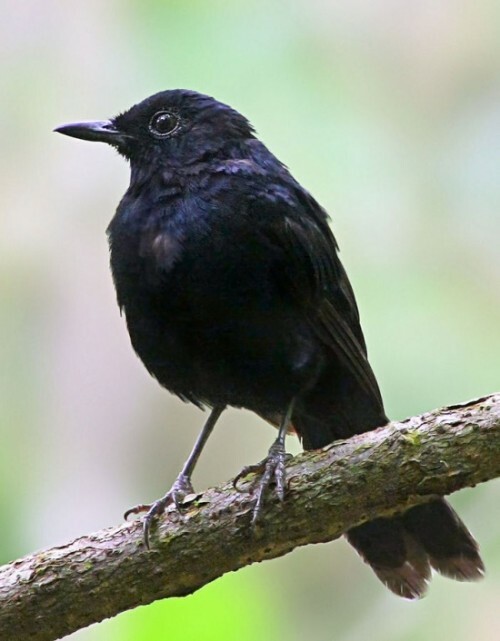 The Black Shama is a lively black bird that is endemic to the island of Cebu which is located The Philippines. It is threatened by habitat loss on this island as it lives in various types of forests and shrubland. The Kakapo or Owl Parrot is native to New Zealand and has yellow-green plumage, a large grey beak, short legs, large feet, short wings/short tail. The bird resembles an owl by the fine feathers on its face. It is husky and the heaviest parrot, weighing 4.5-9 pounds. The Kakapo is nocturnal and the only flightless parrot in the world. It is an excellent climber and can descend like a parachute. 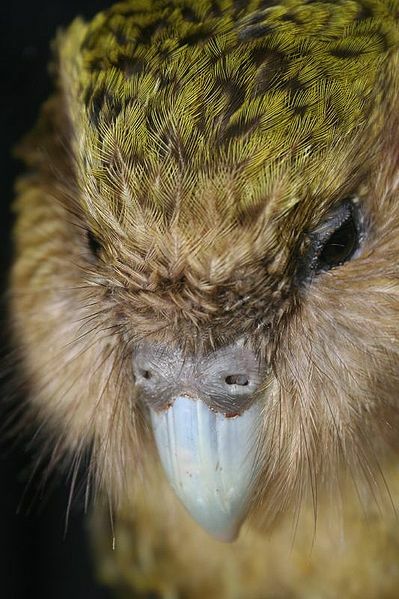 As of February, 2010, the Kakapo was critically endangered with only 120 known birds left. 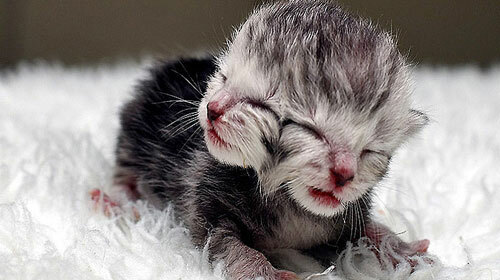 Predators such as cats, rats and stoats nearly destroyed the entire population. The Kakapo Recovery Plan was implemented in the 1980’s and survivors have been kept on 2 predator-free islands since January of 2009. 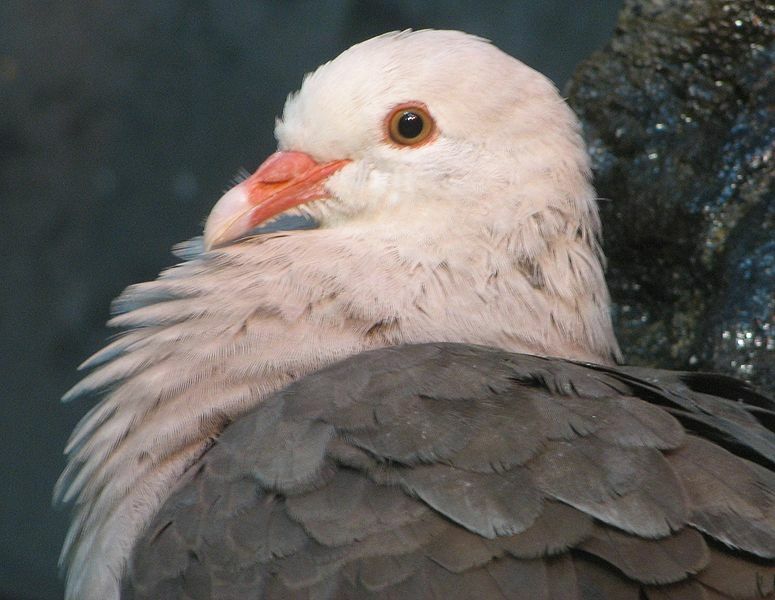 The Pink Pigeon is native to Mauritius and was down listed from critically endangered to endangered in 2006. It has pale pink plumage on its head, shoulders and underside with pink feat/beak. The wings are brown with a reddish-brown and broad tail. It most closely resembles the Madagascar Turtle Dove. Habitat destruction and non-native predators caused the population to severely drop in 1991. In 2005, there was a stable amount of about 360 in the wild due to the captive breeding and reintroduction program. 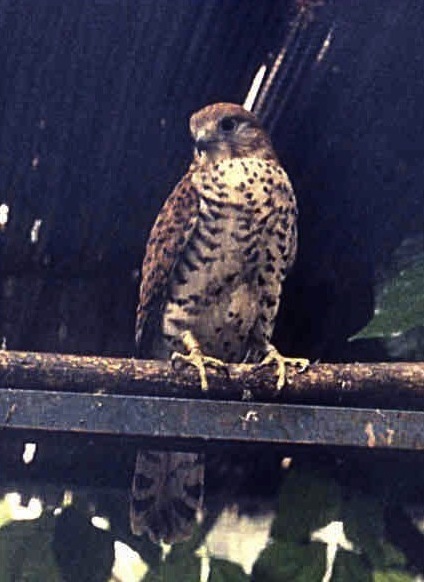 The Mauritius Kestrel is native to the forests of Mauritius. It is a small falcon with a long tail and short wingspan of about 1.5 feet. The tiny population was most likely caused by deforestation in the 18th century and cyclones. The most severe decrease was in the 1950’s and 1960’s due to the use of DDT, cats, mongooses and macaques. In 1974, the population dropped to near extinction, a mere 4, but increased to 50 in 1984. Since there are now more than 800 mature birds, the species was down listed to Vulnerable in 1994. I’ve eaten an Imperial Amazon before. They are actually quite delicious and taste a lot like quail. The Night Parrot (Pezoporus occidentalis) is more scarce than some of the above birds and it isn’t known whether man is it’s major concern. 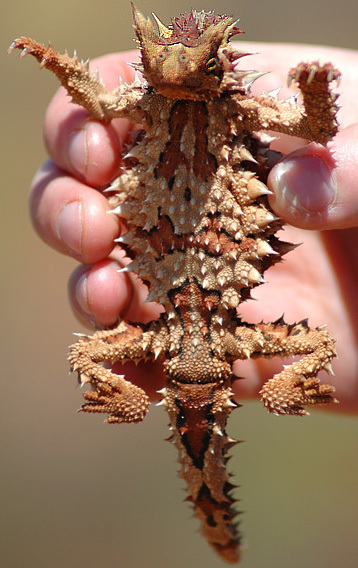 Very little is known about this desert dweller.